In the present study, we have theoretically analyzed supramolecular complexes based on the Watson–Crick A–T and A–U base pairs using dispersion-corrected density functional theory (DFT). Hydrogen atoms H8 and/or H6 in the natural adenine and thymine/uracil bases were replaced, respectively, by substituents X8, Y6 = NH?, NH2, NH3+ (N series), O?, OH, OH2+ (O series), F, Cl or Br (halogen series). 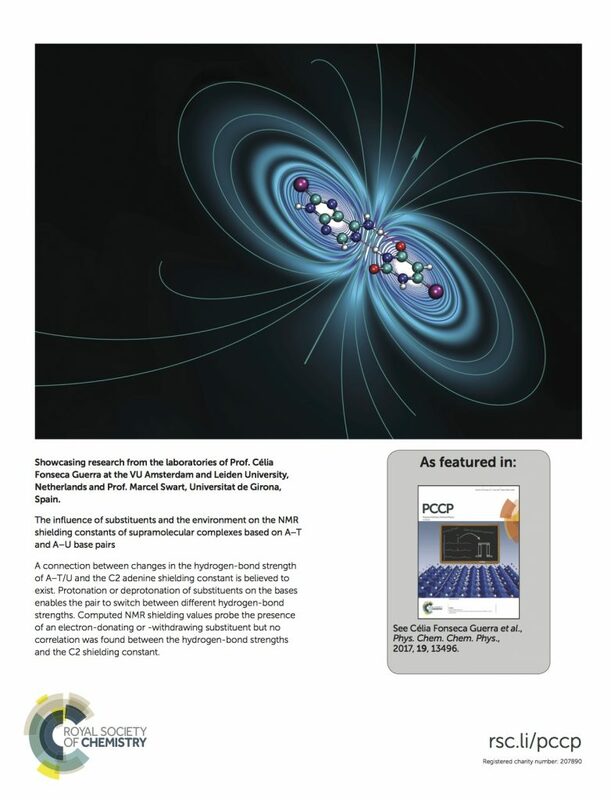 We examined the effect of the substituents on the hydrogen-bond lengths, strength and bonding mechanism, and the NMR shielding constants of the C2-adenine and C2-thymine/uracil atoms in the base pairs. 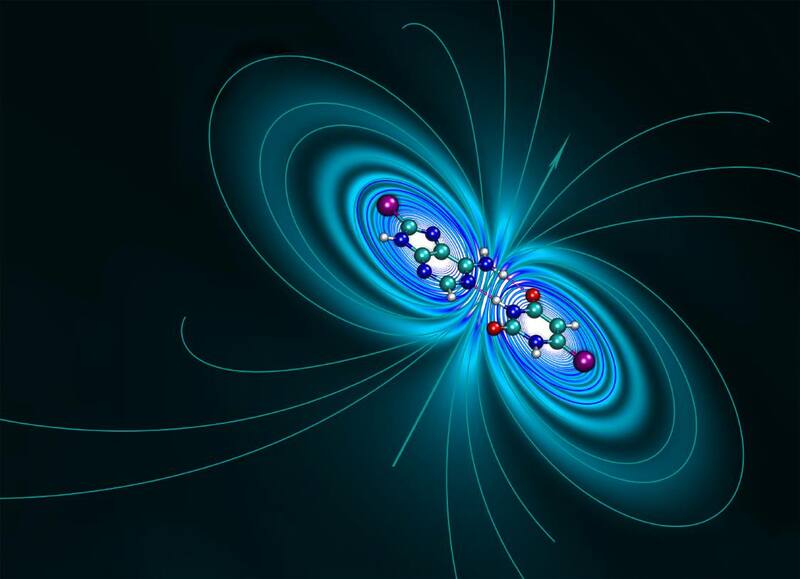 The general belief in the literature that there is a direct connection between changes in the hydrogen-bond strength and the C2-adenine shielding constant is conclusively rejected by our computations. The paper is accompanied by a back-cover, in recognition of the importance of its results for the determination of NMR spectra of these fascinating species.